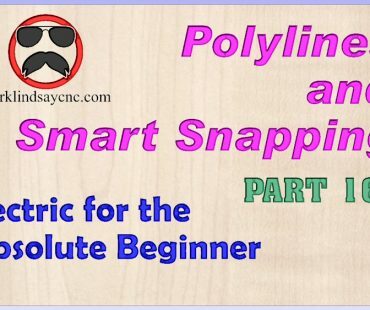 This article accompanies the twelfth video in a series on my YouTube channel. If you’re not subscribed to my channel, here’s a link. Come on by and check it out. Hopefully you’ll find something you like. 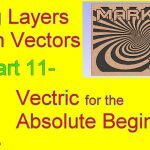 In this 12th video of the series, by request, we’ll get into using a Keyhole Bit in the Vectric software. I’ll show you the information about the bit that I needed to get, then how to enter that info into the tool database. 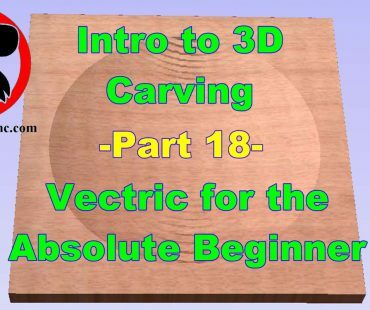 Next I’ll show you how I created the geometry I needed to create a 3/4” long vertical keyhole slot for a project. Then I’ll demonstrate calculating the toolpath from that geometry, previewing the toolpath, and saving the g-code. From there we’ll move out onto the CNC router, where we’ll load the g-code into Mach3, set the X, Y, and Z zeros on our project, and cut a keyhole. 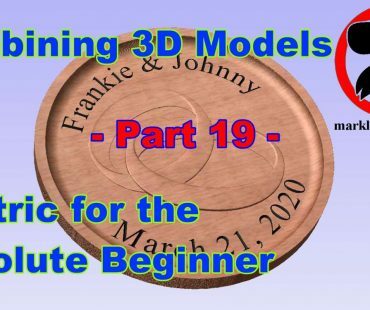 While this series might seem like going back to the basics to some, people who are new to CNC and woodworking in general, and CAD/CAM software in specific, are joining Facebook groups and message forums every day. 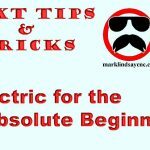 I frequent a lot of those forums, administrate a few Facebook groups, and am a member of several others. 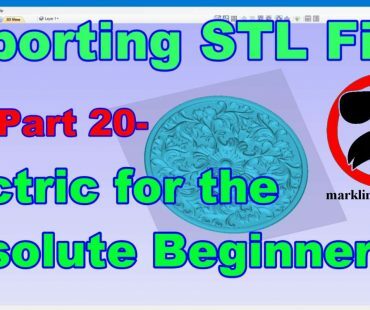 As a result, I’m seeing a lot of posts from beginners who have never done anything in CAD/CAM software, asking questions on some of the very basic tasks involved in using CAD/CAM software. That’s enough out of me. 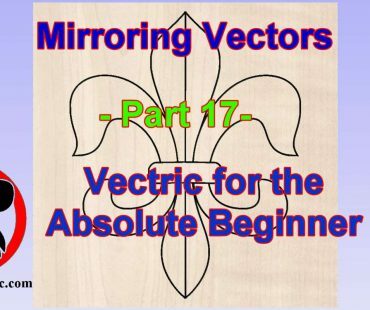 Below is a link to the 12th video in the series that’s geared toward the absolute Vectric software beginner. 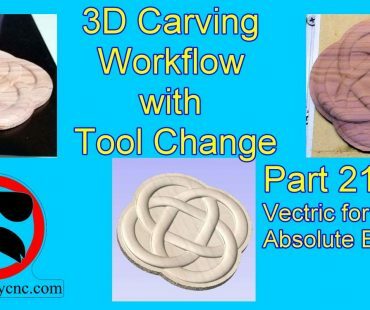 I use VCarve Pro version 9.512 in this video, but all of the information in the video applies to Cut 2D, VCarve, and Aspire software – both the Desktop and the Pro versions.